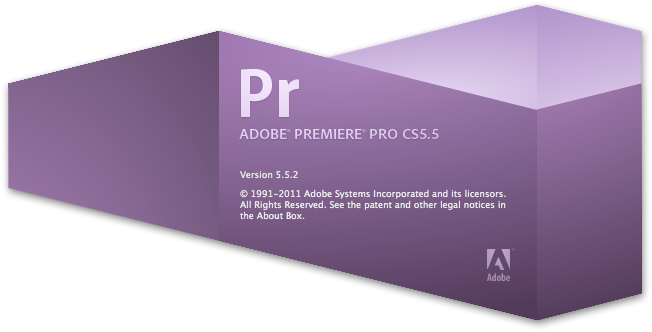 Premiere was the first NLE I ever used. I learned how to cut in Premiere 6.5 on my homebuilt PC nearly ten years ago. I’m now returning to Premiere after spending half a decade cutting in Final Cut Pro. My overall impression is that Premiere’s underlying technology has advanced by leaps and bounds (in fact, I’d go so far as to say that Premiere is the most technologically-advanced NLE on the market today), but its interface has remained largely (and sadly) unchanged. I’m incredibly picky when it comes to cutting interfaces, having suffered through a lot of bad editing software in my life. It’s why I finally decided to dump FCP for Premiere: I could tell that the wind was blowing towards an iMovie-inspired interface, which is quite frustrating if you aren’t just playing around and actually know what you want. So I thought I’d make a copious sheet of notes about the Premiere user experience. 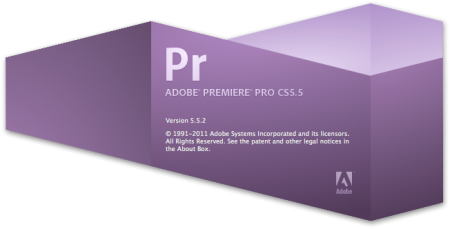 Just for reference, I’m using Premiere Pro CS 5.5.2 on a Mac Pro (3,1) with 6GB of RAM and an NVIDIA Quadro 4000 GPU. My OS is 10.7.2. Honestly, the thing I miss most of all is the ability to toggle fullscreen preview on/off with a single keystroke. I’m a two-monitor kind of guy—I like to put my bins and scopes on my second screen where I can get at them when I need them, but let them hide behind my preview when they’re not needed. While we’re at it, if some preview options (*ahem* Firewire DV) are available only when hardware acceleration is disabled, couldn’t we have a keyboard shortcut to toggle that, too? Lack of Mackie Control integration is embarrassing. This is a must. I rarely use my Tascam FW-1082, but the reason I let it sit here on my desk and take up an enormous amount of space is that when I do use it, I really need it. I can’t imagine how frustrating the lack of control surfaces must be for real sound editors—particularly those who are trying to do serious mixing in Audition. The way the shuttle controls are arranged below the source and program monitors wastes a lot of screen real estate. Just sayin’. There’s little transparency in how PP assigns pixel position values. I think this stems from the fact that it tries to automatically handle pixel aspect ratios. It does a good job of that, but it gets confusing when you’re trying to set a pixel-perfect position for something like a hard matte, where exact pixels (and sub-pixels) make a difference. For instance: when working on DV NTSC footage, title designer sees the frame as being not 720×480, but 533×480. This gets confusing. Sadly, not really sure how one might address this problem and make it less confusing. I guess sooner or later we’ll all start living in a world of square pixels, and that will take care of this problem. On a similar note, I much prefer Final Cut’s pixel positioning scheme, where (0,0) is the center of the frame, not the corner. It makes it easier to center elements on the screen, and it just makes sense that an element with default position should have a position of 0. I’ve always thought that a pseudo-AGC adjustment would be a killer feature in an NLE. The Levelator is free software that does this really well, but I’d prefer to do it right in Premiere rather than roundtripping an audio export—ideally as a nondestructive operation on a subclip-by-subclip basis, rather than just being a function on the master audio track. The “normalize peaks” option is definitely a step in the right direction, though. Always pissed me off that FCP couldn’t do that. The procedure for adding and removing tracks is way too complicated. 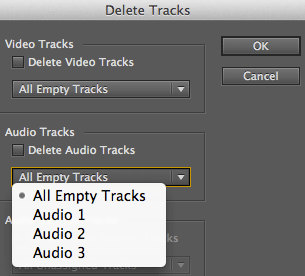 I want to right-click on a track and select “delete track.” But I do like the option of deleting all empty tracks. It would be way cool to be able to reorder tracks via drag-and-drop. This is particularly an issue in the audio timeline, as once stereo/mono/surround tracks are created in a certain order, it is nearly impossible to reorder them. Okay, you don’t interrupt playback to autosave the project file—nor do you allow the monitor to sleep during playback. That’s incredibly rude, particularly if you’re previewing a cut for a client. You wait until playback is finished, THEN autosave. I need to be able to customize the brightness/saturation of the video scopes. These things are hurting my eyes. And that brown background is killing me. I really like the “scale to fit frame” option when mixing SD/HD footage, but it would also be cool to have a “scale to fill frame” option. In addition, I would much prefer that scaling to be applied as a basic motion parameter so that I can see exactly by what percentage the image was scaled, and so that I can scale up from that starting point without sacrificing any quality. When playing back footage at high speeds, I’d really appreciate the option of Final Cut-style audio playback—I find that dialog is much easier to understand when it’s a bit choppy but normally-pitched vs. smooth but high-pitched—particularly at very high speeds, where the audio in Premiere can get so high-pitched that it turns into a dog whistle. While we’re talking playback, I find myself missing FCP7’s playhead behavior. 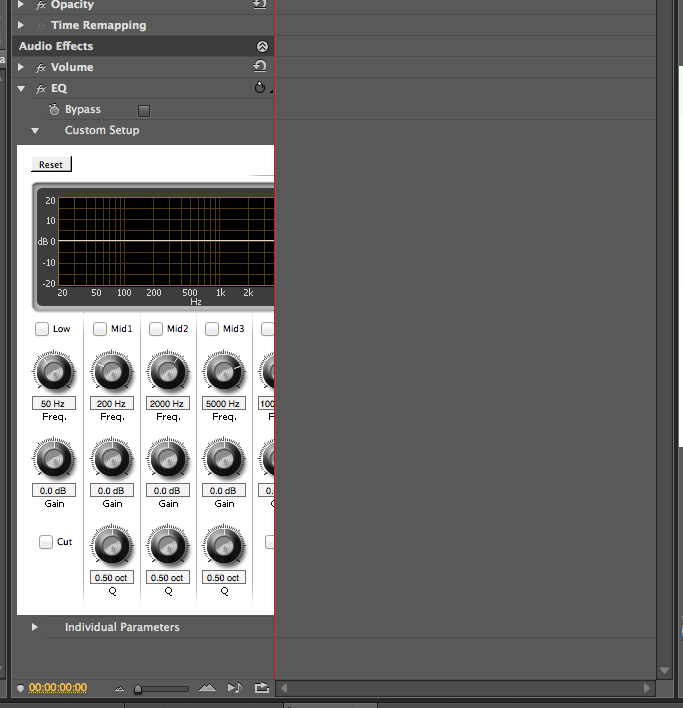 During playback, I could click anywhere on the time scale and the playhead would jump to that point and keep playing. Premiere is almost the same, but I have to press play again after I reposition the playhead. This seems like an unnecessary additional step and I keep stumbling over it, even as I get used to Premiere’s other interface differences. I’d like an easy way to generate a freeze-frame that I can keep in my bin. No keyframing, no exporting/importing, no extraneous files. Is it just me, or are renders (software engine only) very slow? 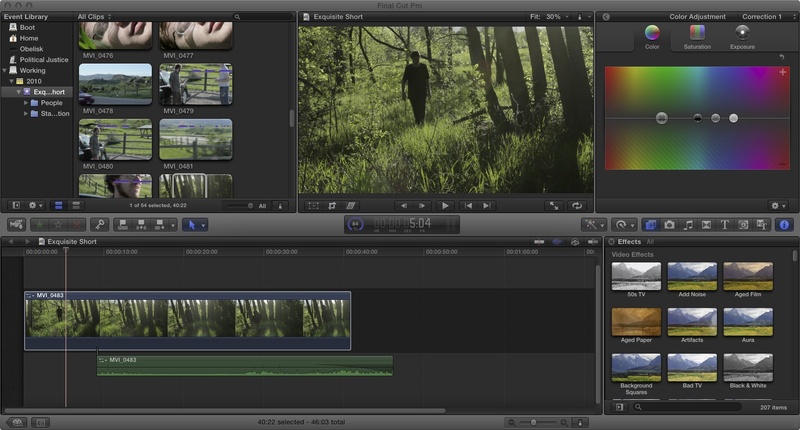 Just in comparison to FCP7. Makes me worried about how the user experience might be cutting on my new laptop that doesn’t have a CUDA card. That said, with this Quadro 4000, the realtime rendering is INSANE. I used to sit at my Final Cut workstation and dream of the day when renders would no longer be necessary, and CUDA acceleration seems to be making that dream come true—this technology is awesome. But couldn’t CUDA renders cache, so that I can see smooth playback on eccentric formats? Example: I shot some 720p footage with my iPod that I wanted to include in an SD timeline, scaled down to 68%, with a title composited over it. My GPU is fast, but the frame rate still lags significantly when working with such an unfriendly codec. If I could pre-render that footage, I could at least watch it back at its true frame rate without exporting it to a QuickTime file. This is something that FCP7 handles really well with RT extreme: you can play it back in real time, OR you can cache a render. By the same token: couldn’t we have background rendering? 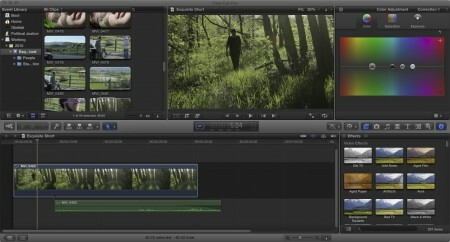 If FCPX can do it, surely Premiere should be able to. Sort of off-topic: is Adobe working to bring CUDA acceleration to After Effects? Because that would rock. Speaking of After Effects, I really wish I could access the warp stabilizer from within Premiere. It’s incredible technology, but it feels like overkill to make an After Effects comp for every shot I want to stabilize. Using the tilde key to temporarily fullscreen panels is a revelation. SO useful. It would be great if the AE graph editor made an appearance in PP. The existing graph editor is mostly usable (not being able to zoom out past a certain point means that if you’re keyframing from the beginning of a clip to the end of it, the first and last keyframes sit right on the edge where they’re almost impossible to grab and drag), but AE’s is much more intuitive. Just taking Premiere’s graphic EQ as an example: the interface is decent (although fake knobs on computer screens seem pretty pointless to me, all audio plugins seem to be built that way so I’ll give it a pass), but the way it sits in the effect controls panel is really awkward. In most window configurations it appears as halfway cut off, and you have to adjust your panel layout to see the whole thing. If an effect interface requires me to readjust my screen layout in order to use it, there’s something wrong. 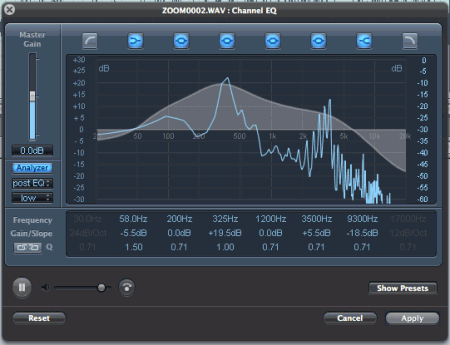 Since we’re talking about EQ, one of the most (and only) useful features in Soundtrack Pro was the spectrum analyzer in its graphic EQ. If you turned it on and played the sound you were working on, a little graph would superimpose on the chart to show you visually where pitches were falling in your audio. It made it very easy to target specific frequency ranges for correction, rather than guessing. Any chance of a feature like that making its way into Audition and/or PP? I find that I’m still a little unsure of myself when cutting in Premiere, and I don’t really understand all the ins and outs of the Premiere timeline just yet. Sometimes I feel the urge to quit Premiere and open up FCP7, but so far I’ve been able to avoid that. I haven’t used Final Cut in three months, and although I don’t regret making the switch, I would say that I like the interface of FCP7 better than that of Premiere CS 5.5. But FCP is a dead platform. It will never improve. Adobe has proven itself to be an astute, communicative, responsive company, and their investments in new video technology (including the acquisition of IRIDAS, which makes me giddy with excitement) demonstrate their dedication to the future of Premiere as a powerful, professional platform. So although there’s plenty that I don’t like about Premiere right now, I’m excited and optimistic about its future. Dear Final Cut Pro, I'm thinking about breaking up with you. I was in love with you. But… you’ve changed. Sure, you just got that really sweet makeover, and since you started working out you’ve been in really great shape. You’ve got an awesome new color corrector. Those are great things. But what about my needs? I know you think your scopes look best when they’re just to the left of the viewer, but sometimes I need to see the scopes at the same time that I’m looking at the footage full-screen on my second monitor. 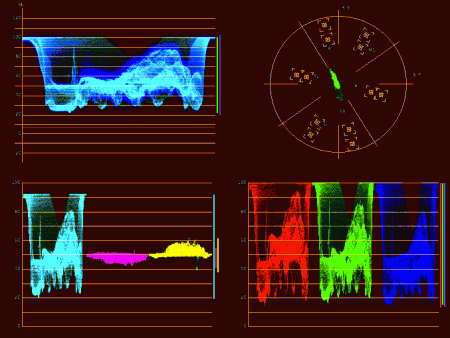 I love your waveforms, but I also love your vectorscope. Can’t I see them both at the same time? Customization is important to me—you knew that from the very beginning of our relationship. Ever since the change, you just haven’t been yourself. You used to be all about timecode, but it seems like you barely even think about it anymore. And you’ve been really jealous lately. I know it makes you feel insecure, but sometimes I need to send a timeline to After Effects or export an OMF to Pro Tools. I love you, baby, but you’re being really possessive. We never go out anymore. You used to pipe video out to my broadcast monitor all the time, remember that? That was one of our favorite things to do. You used to be really friendly with Mackie control surfaces, but now you don’t even talk to them. It’s not your sleek new interface that bothers me. You’re just as user-friendly as you’ve always been, maybe even more so. It’s just… I know guys say this all the time, but I really mean it: you were way hotter back before your makeover, when you weren’t so wrapped up in appearances, and you were more concerned about doing what you did better than anyone else in the whole world. That’s why I fell in love with you, so many years ago. I used to look into your eyes and feel like with you by my side, anything I could imagine was possible. Now… I hate to say it, but you’ve gotten kind of vain. It really hurts me to say this, but I think I should see other programs. In fact, I have a date with Premiere Pro this weekend. I understand if you’re angry, but this is just something I have to do for myself. I can’t bring myself to believe this is the end. I’ve loved you so much, for so long. I just hope you can get your personal problems worked out, because until you do… I guess this is goodbye. If you are a serious editor and care about working on existing projects, you’re out of luck. Final Cut X cannot open .fcp files, nor can it ingest or export XML. 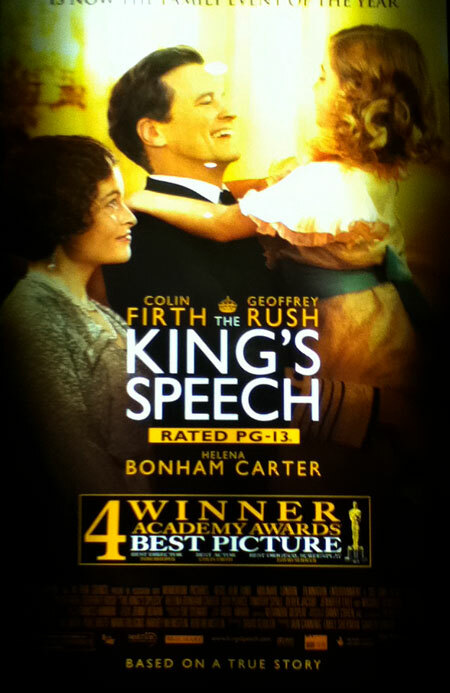 A full review will be forthcoming, but that is my recommendation for now. I was at a really cool theater in Denver this evening, the Landmark Esquire. Highly recommended. I went to see a movie called Certified Copy, by Abbas Kiarostami, starring Juliette Binoche. A pretty good movie, and well worth watching if you like Before Sunrise, et. al. I was shocked to learn today of the death of Colorado radio personality Kyle Dyas. Kyle was a great guy, and I just wanted to pause for a moment and remember what it was like to work with him. Most people knew Kyle as the long-time music director for KUNC—what some people might not know is that he was also an actor and theatre lover, deeply involved in OpenStage theatre company. And he was the voice of news announcer Chaz Williams in 16 Heads and Counting. It was a huge thrill to work with Kyle, if only because he had such a familiar voice. I was raised in an NPR household, meaning that for as far back as I can remember, a radio somewhere in my house was tuned to KUNC, and so I heard Kyle’s voice more or less every day from 1996 until I left for college. So it was weird to have the actual man standing in my living room when he came over for his recording session. To backtrack: when it became clear that we needed a news segment in 16 Heads, I knew immediately that we had to cast Kyle Dyas as the voiceover—nobody else would do. So I was ecstatic to hear back from him that he would do it. And let me tell you: his voice actually sounded like that; no microphone tricks here. A lot of voiceover artists and radio personalities artificially deepen their voices by sitting too close to the microphone and slowing their breathing (in the industry, this is known as “barfing”), but Kyle really did just have a magnificent voice that seemed almost out-of-place if you heard it anywhere other than the radio. The recording session went about as smoothly as you could expect from someone with a decade of broadcast experience, and we were done in a matter of minutes, and that was the extent of his involvement in the movie, although I note with some pride that he came to not one, but two separate screenings of the film. If you don’t know who Vvinni Gagnepain is, you have been leading an empty existence. Vvinni is now prepping his senior thesis film at SFUAD (those in the know pronounce it ‘seafood’) in Santa Fe. The film is called Delicious Pound Cake, and it is about the end of the world. For reasons beyond my understanding, Vvinni has asked me to DP the film. He and I have an arrangement, you see: I only DP for Vvinni, because DPing for him is kind of like playing Calvinball. You make up the rules as you go. Vvinni is now trying to raise money for his film, and you can help. Go here to donate. Even if it’s just a few bucks, every dollar helps. And this is not one of those pyramid-scheme fundraising sites; even if he doesn’t hit his target, he can still use the donated funds. I was saddened—but not shocked—to hear that Dwayne’s Photo in Parsons, Kansas, the only remaining K-14 lab in the world, would no longer be accepting you for processing. I think we both knew this day was coming. You were an archaic, environmentally-unfriendly process. Only… why did you have to be so God damned beautiful? Merry Christmas/happy holidays from us and ours to you and yours. In the spirit of the season, here is a very short film for your enjoyment.